We opened our first retail outlet within the then Polhill Garden Centre at Coton in March 2016 but following a buy out and name change to Coton Orchard Garden Centre by Blue Diamond and a subsequent multi-million-pound revamp, we have moved to a new home at the bottom of the ramp in the middle building in September 2017. 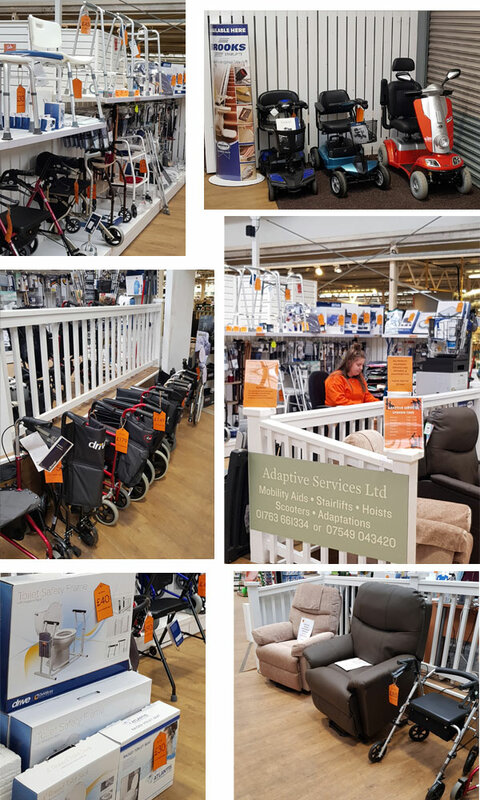 The new shop area is bright and airy, and we stock a large variety of equipment to make your day to day life easier, from mobility products through to bathing, daily living aids and incontinence products. If we don’t have what you need in stock then it can be ordered and usually obtained within a couple of days. The shop is open 7 days a week and there is ample parking with disabled spaces on site to make your visit much easier. You will always find a member of staff there to help with your purchases and also give impartial advice on larger items such as stairlifts or adaptations to your home.